There is now a visitor feedback page. So you can tell me what you think of this site. I thank the lady who commented to me that some of the links I had on my Links and Resources page were not working. I have updated the page and all links are functional. God bless you all. Be blessed and bless those around you. I have had a practice for many years now, which is that I try to make life better for those in my little space in the world. Imagine how nice things would be if everyone tried such a thing. May God richly bless you all, and when He does, pass it on. Unbelievable: Elias Flips for his mommy. I pray that all of you have a blessed day tomorrow. The day we celebrate the Resurrection of Jesus Christ our Lord, the Son of God Almighty. Hallujah HE IS RISEN! Be blessed! Hey everybody! Baby "Otter" was born at 6:03am Juneau time. He weighed 8 pounds & 8 ounces. All three are at the hospital. I will go there later today. They have not told me my grandson's name yet. God bless everybody always. Anouncing my Grandson "Otter" Fritz coming soon! Praise God! It has been a while since I posted anything on this site. So, this is wonderful! I praise my Lord Jesus and Father God. 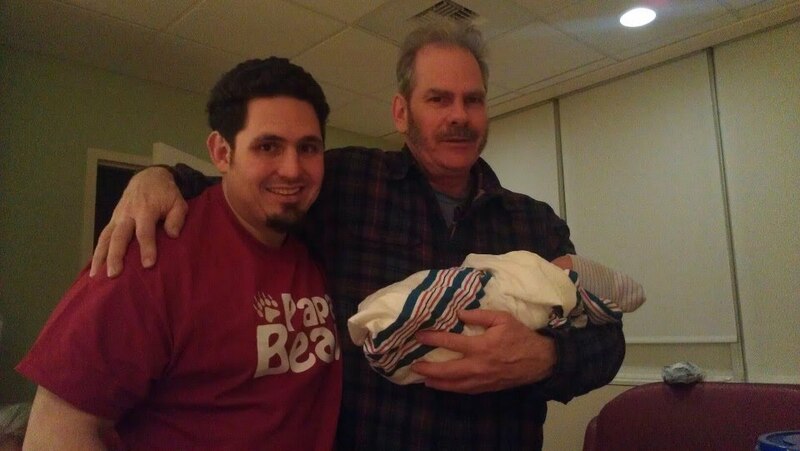 I will soon get to hold my very own Grandson! I have to wait a while to meet Robin I Fritz, so this is really coooooool man. I am stoked! Praise GOD for this marvelous part of my life. Here is the Fantastic Video my Daughter-in-law made.